Sam Ingrassia, born in 1953, originates from St. Louis, Missouri. During his engineering studies at University of Missouri, Sam received Jesus Christ as his personal Savior, resulting from a witness by a dying fraternity brother. After completion of a Bachelors of Science in Civil Engineering, he married Vicki Crotser and they began studies at Florida Bible College. Sam graduated with Bachelors degrees in both Biblical Education and Theology, accompanied by a deep sense of God’s calling into vocational Christian service. Following his ordination, he taught at Florida Bible Christian School; later as an Assistant Professor at Florida Bible College in the Bible Exposition and Theology Departments; and also served as Director of Student Ministries. Sam trained at Dallas Theological Seminary where he completed a Masters Degree in 1983. Following a call into pastoral ministry, Sam served 9 years at Jacksonville Chapel in Lincoln Park, New Jersey. His role as Administrative Staff Pastor included oversight of both pastoral and office staff, adult teaching and preaching ministries, administrative duties, expansion task force chairmanship and full pastoral duties over a geographic portion of the Chapel’s congregation. Developing a special heart for adult short term missions, from Jacksonville Chapel, Sam led 10 church teams into Haiti and Mexico from 1986 to 1991. Since 1993, Sam has served as a Church Planter with e3 Partners Ministry, an international evangelism and church planting ministry headquartered in Plano Texas. Sam has led Church Planting Teams and Leadership Development Conferences to Russia, Sicily, Romania, Moldova, Venezuela, Paraguay, Colombia, Brazil, Haiti and Guatemala. He currently serves as Strategy Coordinator for e3 ministry in Colombia. In terms of executive positions, he has led the Church Planting Division, the Church Mobilization Division, the Staff Training Division in e3 Partners Academy, and currently serves on the President’s Cabinet. Due to his length of service and experience, Sam serves in a principle role of staff training and mentoring. Sam and his wife, Vicki, have been married since 1975 and have three young adult daughters, Christina, Nicole and Stephanie. Vicki is also on associate staff with e3 Partners, serving side by side in the field ministry. Are you and your spouse seeking God together? 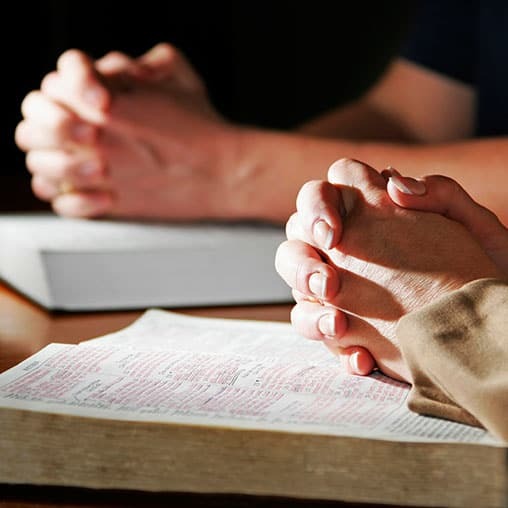 Author Sam Ingrassia talks about the blessings of praying the Scriptures with his wife each day and encourages other men to follow in his footsteps. Sam Ingrassia and his wife had hit a rough patch in their 37-year marriage. Sam tells how he and his wife began infusing new life into their marriage by praying together daily.